Refurbish existing burnt out building including amenities, canteen and store rooms. Construct four new home bases, library, administration building and covered out door learning area. Refurbish existing hall, extensive landscaping and new paved areas. 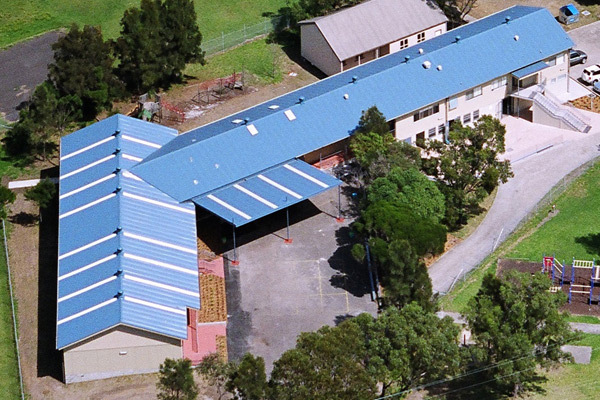 The design and construction of two purpose built educational facilities to replace the existing facility which was destroyed by fire. The design team and Project Coordination placed an alterative bid to design and construct in favour of the nominated demountable structures providing cost savings of $200,000. Existing flooring which survived the initial fire was left on site and strengthened underneath reducing structural costs by $20,000.